It sounds redudant to say that your hands haven't forgotten how to do something that they've been doing quite well for the past four years and yet it feels good to know for sure that it's true. When everything else in your body feels a bit off and your legs are achy from not enough activity and your back is sore from too much sitting and you're tired...oh...tired. It feels good to know that some things are still working just fine. But I was pleased when my hands produced these last week in the few moments that I was able to sit in front of the beads and just create. I purchased two of these pretty litte bee beads from Alison and my initial plan was to make tiny pendants out of each one and then I remembered the Dragonfly Dance that goes on around here all summer. I imagine it's a mating dance (I'm not sure as I'm not a dragonflyologist), but they chase each other around the front yard right on each other's heels, ahem...tails. They aren't small dragonflies either, they're the big kind and two of 'em comin' at your face is a bit overwhelming. They're happily engaged in the Dragonfly Dance while the rest of us are Dragonfly Duckin'. Now, I know these aren't dragonflies, they're honeybees or at the least the workers, but I like the idea of them chasin' each other around huntin' for something and I like the fact that the pendant hangs just slightly askew. I added this one to the shop here if you'd like to see more photos of my little bees. It is also scarf and sweater weather! My mother is a huge fan. She likes to wear them the way her mother did pinned to the lapel of her warm winter coats. I like them against sweaters, holding down scarves, and I've even used them to jazz up a boring brown bag. This one is a good size and the colors are spot on for fall. I happen to love Creek Jasper for that very reason. I've also added it to the shop here. Oh, and guess what was in my inbox today?? 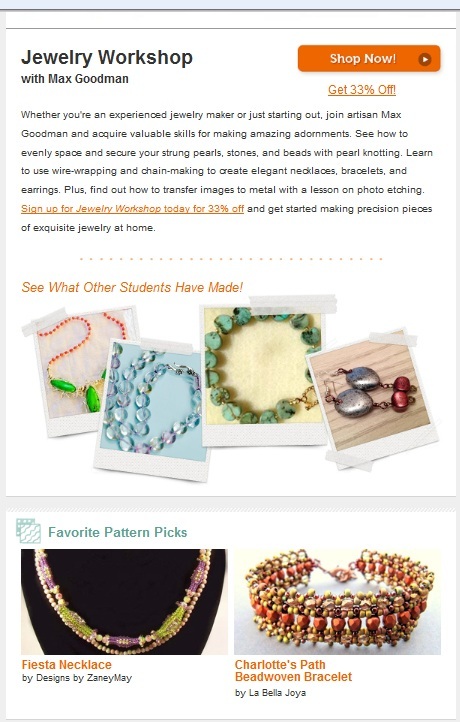 This is the Craftsy Newsletter and look who the "Favorite Pattern Pick" is! I do love little Charlotte. She's a beaut and very quick to work up. 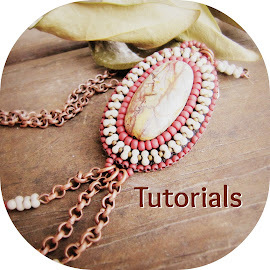 Here's my little corner of Craftsy, but if you've never visited, I highly suggest that you do so, there's a wealth of info there and tons of online classes in all kinds of mediums if you're interested in learning something new. Have a great day, all and I haven't forgotten about the promised giveaway, stay tuned! 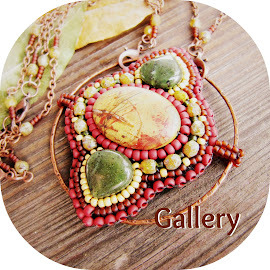 The pendant is beautiful and the brooch has autumn colors that make it lovely!!! I know what you mean. I was asked to make two tiaras for flower girls and I thought what if after a year at least if not more since I made a tiara I can't do it anymore? I could it turned out and they were very pretty. I was really pleased as you should be with your beading work. 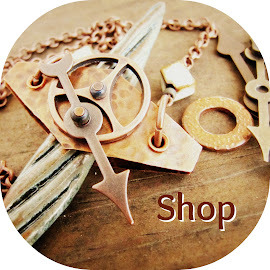 Lovely pieces, Marcie... and congrats on being featured at Craftsy. The acknowledgement never gets old, does it?